If you love cars you have to visit the odd car show/event. It has kicked off in spectacular fashion once again. Compared to previous years it seems busier. I could be wrong; perhaps the people just queue longer before the press conferences of their choice. It is probably not surprising to see people gathering at Aston Martin Lagonda’s stand 45 minutes before their allotted time, seeing AML has made the headlines quite a few times in the past 12 months. But at Mazda, by comparison, all available seats were taken 30 minutes before the conference started. The press sure seems eager this year. Do they have a reason to be? Let’s have a look at some impressions of the first day. The focus is very clearly on electric. Not only did they unveil two electric cars, the stand has only electric vehicles. The new cars were introduced by their designer who used superlatives almost exclusively. At least it’s clear the man is proud of his work. And so he should be; the sportier of the two is quite nice. And considerably lower than the A7, apparently. One of the new Audi models presented. They mentioned ‘electric as a system’. Unfortunately they did not expand on that, so at this time it’s not clear what that exactly entails. It is interesting to note that almost every car manufacturer present at the show seems to have some ‘system’ that is unique to them and, of course, better than the others. Let’s keep in mind these are all electric vehicles, though. However, we should also keep in mind that the vast majority of current cars have an internal combustion engine running on petrol and those are not exactly the same either. The basics may be the same, there are differences, especially since technology has advanced since this type of engine was first created. I think we should start keeping a closer eye on how different manufacturers implement electric systems. Bentley is 100 years on 10 July this year. And they have already started the celebrations. They have made two special edition cars. The first is a Bentayga commemorating the company’s founder, W.O. Bentley. Ironically, they brought the No. 9 Continental to Geneva, which is made to celebrate the Bentley Blower. The reason I call this ironic is because apparently W.O. Bentley rather disliked that car (read that as a typical English understatement). The No. 9 Continental, limited to 100 cars. Bold claims were made that Bentley has defined grand tourers for the past 100 years and will continue to do so for the coming 100 years. Now, call me biased (because I am), but I question this. How can you ‘define’ anything if in recent history your newest (and I mean all new) model – the Bentayga – is 4 years old? Don’t get me wrong, I like Bentley. During the factory tour I got to appreciate the company’s history with many racing victories and beautiful cars, but also the craftsmanship that goes into creating a Bentley. But I disagree with the ‘defining’ claim. To me it seems Bentley are quite comfortably staying right where they are. With the relaunch of the Lagonda brand I cannot possibly call the company ‘Aston Martin’ anymore – especially since they brought a new Lagonda to their stand. Just after the presentation I heard someone say that AML had ‘the shock of the show’. That might well be correct, because I don’t think any other manufacturer brought four cars to unveil. Granted, one we basically already knew: the Valkyrie. Previously we had only seen models and prototypes, this was a verification model. If I’m not mistaken, that means this one is fully functional. The other three cars are probably more exciting then. 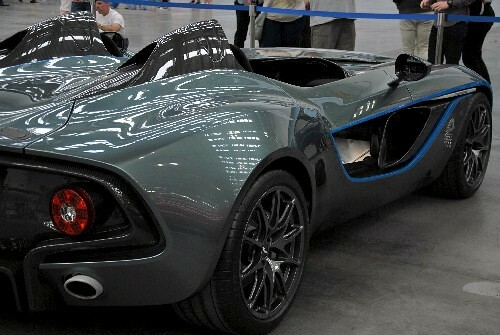 Project 003 (now named AM RB-03) is the third mid engine hyper car AML are building, after Valkyrie and Valkyrie AMR. I have already seen comments on social media that it’s just another Valkyrie, but that’s incorrect. It is a new car. Apart from the V6 (built by AML) we will have to see how else it is different from Valkyrie. The Vanquish Vision Concept is possibly the biggest surprise. It has only recently been replaced as the flagship model by DBS Superleggera, and even though AML do reintroduce names, they tend to wait a little longer. It is also not your usual production model anymore. Now it’s a mid engine beast. It will be interesting to see what that eventually turns in to. Last, but not least is that Lagonda I mentioned. It’s not exactly a SUV, it’s a crossover. You could argue about the differences, I’m just stating what I’ve heard. It does look a bit like the Vision Concept unveiled last year. The front has links to that car, albeit a bit less, shall we say, wide? It looks spacious and different on the inside, it’s big, it’s different. Apparently it will go into production in 2022. The new Lagonda is trying to get into the super luxury segment of the market. Let’s wait and see how it gets on. Mazda is celebrating the 30th year of the MX-5, which is also known as the Miata. A limited edition MX-5 can be seen on the stand, but otherwise there wasn’t much said about it. All focus went to the CX-30. This new crossover (so not a SUV, then!) is to sit between CX-3 and CX-5. It’s the second car to get a ‘Kodo design’, after the Mazda 3. The other models will get or already have gotten a looks upgrade. We can also expect a new engine: the updated version of SkyActiv, called SkyActive-X. The explanation of that engine baffled me a little, since it was explained that it combines petrol and diesel techniques. In other words: it uses spark and compression. Now, the last time I checked, petrol engines already used compression. The thing with diesel is, of course, that if compressed enough it will self combust. Something petrol does not do, hence the need for a spark. In short: Mazda has given me homework. The plan for the coming years is to bring down emission dramatically and also introduce hybrid and electric options at some point. But – as promised last year – no mention of autonomous driving. You can’t get that ‘Zoom Zoom Zoom’ feeling if you don’t control the car! 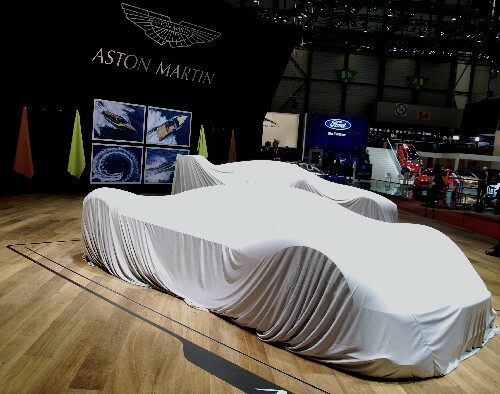 Initially I intended to see the unveiling of Ginetta’s new car, but decided against it as it was uncovered all day, only to be covered up just before the presentation. It has also been shared on social media etc. before the show. So I guess that who wants to know already knows. Toyota and Lexus stood out because of their lack of any presentation at all. Their press conference was available online and on demand. I wonder how many people bothered. I did not check it out, but I did go to their stand. Interesting to see they have yet again revamped the Corolla. The car that is deemed so reliable has been given a new lease of life and Toyota brought many of them. Their virtually unbreakable car, the Hilux Invincible, is unfortunately nowhere to be seen. Pity, because I like that car a lot. Volkswagen brought some electric vehicles, as was to be expected, but also a new Passat. This could be my ignorance, but I thought the Passat CC and later the CC replaced the Passat, only to be followed up by the Arteon (also present here). Anyway, I think the Passat was always a decent station, so it makes sense to not let it die a silent death. In general there is a very heavy emphasis on electric vehicles at the show. This is not surprising, with the threat of legislation making zero emission compulsory in a few decades looming over Europe. Compared to last year there are hardly any autonomous cars to be seen. Some are autonomous driving ready, but the clear focus I noticed in 2018 is not there now. I guess they’re all too busy fighting for their spot in the electric vehicle market. Some don’t have any on the road as yet, so this will be an interesting development to keep an eye on. When asked about my favourite cars, I always say that I have 3: The McLaren F1, The Aston Martin Vanquish S and The Classic Mini. I don’t know when I fell in love with the Classic Mini. I can’t remember the first time I saw one, nor how I reacted to it. To my mind, they have always just been there. Maybe the fact that my parents had a Mini when I was a baby left a subliminal imprint in my head. As soon as I spot one, I squeal with happiness, day totally made. I love the way they look, I love the way they sound, I love the history. So when my best friend told me about the Oulton Park Mini Festival, it was a must to attend. The first Oulton Park Mini Festival was in 2014 and I remember it well. We had seats on the Old Hall grandstand, perfectly placed to watch the cars storming down from Druids to Old Hall Corner, before screaming up towards the start/finish line. So many classic Minis racing that day. Mini Miglia, the Sevens, it was amazing. Seeing Brian Johnson (yes, he of AC/DC fame, and a total petrolhead) race his Mini around Oulton Park was great. Watching Darren Turner (Aston Martin Racing) throwing a Mini around the track at least 20 seconds faster than anybody else was a joy to behold. So I was sold, I loved that first Mini Festival. We decided this festival was going to part of our racing calendar. This year was the 5th time we went and, as usual I was really looking forward to it. Just being at a racetrack makes me happy and watching Minis zip round makes me even happier. We went to park the car and there were already some pretty cool Minis parked, so we had a little browse before going into the restaurant for some breakfast. That is when we found out that there would be no Classic Mini racing. At all. It broke my heart a little. As stated before, I love watching those brave little cars racing round and you would think that at a Mini Festival, there would be some. To be fair, we always book our tickets well in advance, and at the time it is not always known what will be happening on track on the day, but if I had known that there would be no classic Minis racing, I would not have gone to this festival. This has nothing to do with Oulton Park and the organizers of course, they can only work with what is offered. But being at Oulton Park is always a good day out, so I decided I would visit the Trader’s Market to check out the Mini merchandise. The market comprised of 6 stalls, 2 of which were selling car parts; the other 4 did sell some things with Minis on them but no stands especially for Minis or having a large array of Mini merchandise. My disappointment grew. Of course we watched some racing on track. Oulton Park is an amazing track with great views and wherever you sit, you can always see a large part of the track. We watched the qualifying for the 7 Race Series (Caterhams) and the Heritage Formula Ford Series. We also watched the qualifying for the MINI CHALLENGE – Cooper S, Cooper Pro/Am and JCW. The latter series are for the new MINI. These cars can produce some awesome racing, but they are so not Minis. They are too big to be a Mini, and I really cannot love them. So watching them race is pretty cool, but it was not why I was there. The weather wasn’t really helping either, so we decided to call it a day quite early on in the afternoon. Before we left, we looked at all the Minis which were parked out in the display area. Many of them so so loved and well maintained. This will definitely not be my last Mini Festival, I will certainly go to another one next year, get my ‘Mini fix’. 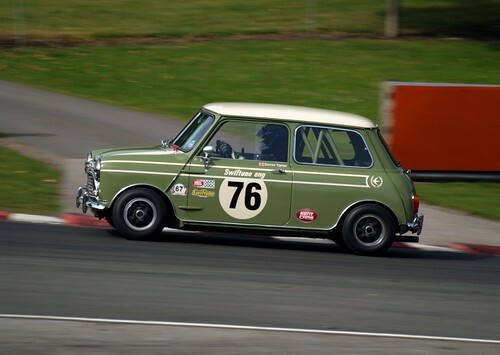 I know that Snetterton and Brands Hatch also host a festival, so maybe next year I will do some homework before booking tickets and ensure that I will be seeing some Original Minis on track. This year’s edition of the International Motor Show in Geneva is already in full swing, a few days before the public arrive. Yesterday was Press Day 1 and it was busy. Last year I was lucky enough to have a press pass, but could only go for the larger part of Press Day 1. This year I’m better prepared and will attend both Press Days and part of the first public day on Thursday. If I had to summarise the first press day I’d say that the focus seems to be quite heavily on electric vehicles and (eventually) autonomous driving. But not all companies are interested. Mazda certainly stood out with their statement that they will not be focusing on electric, autonomous driving, because surveys have shown that 2/3 of drivers want to drive themselves, even if autonomous driving is available and that they still firmly believe in the petrol engine. So, Mazda concludes, they will keep on improving the petrol engine and supply products for this demand. Enter SkyActiv-X, a new version of Mazda’s SkyActiv engine, but now with fuel compression. They claim that will bring even better fuel efficiency. I am quite interested in that. I currently drive my second Mazda and from the previous generation to the current one fuel economy has improved considerably. Lexus is of course known for their hybrid vehicles, but will be venturing into the world of autonomous and fully electric vehicles. Their presentation had a large emphasis on their Limitless range, of which the newly presented Lexus UX (see above) is one of the models. The term ‘Limitless’ refers to the fact that you can choose any power unit Lexus provides and they will build it into your Lexus of choice. That gives quite some flexibility and I can see why they hope to reach 100,000 cars sold in Europe within a few years time. Ford has presented their new cars, including a new Mustang which is a celebration of a very famous car (Bullit, anyone?). I did go see it and, to be honest, I’m not impressed. I don’t know anyone who doesn’t think the old American muscle cars were more interesting than their more modern successors. Unfortunately that is the case here. From the front the car looks rather bland, without character. From the rear it’s yet another Mustang. No innovation there at all. And it doesn’t hold a candle to the original, no matter how many family members of Steve McQueen they throw at it. Sorry, Ford, try again. Volkswagen is slowly becoming one of my favourites. I was never a fan before, but since the CC and now the Arteon they have my attention. The new I.D. Vizzion concept stood out. This concept is an electric car with autonomous driving abilities, however, VW claim it has artificial intelligence. As an example: it should be able to calculate (‘see’) where the road markings are (or should be, if they are vague, damaged or missing) and keep the car on the road in the correct lane. As they explained it in the brochure: other autonomous cars have loads of programming code to account for all possibilities you may encounter on the road. If the programmers miss any eventuality, you have a problem. Volkswagen have therefore tried to make their car more intelligent and self-learning (this is getting scary, right?) to ensure it can truly handle every situation. I would love to see that in action! The Volkswagen I.D. Vizzion concept. Let’s look at Toyota. They too are looking to go further and further into hybrid and electric vehicle creation. Autonomous cars are also on the map. They brought several concepts (called ‘i-Drive’). The thing is that most companies, like Toyota, bring concepts, but you can’t actually try the cars yet. So the experience may still be far away. Toyota found a way around that, after a fashion. They brought a virtual experience which allows you to be in the self-driving car (first in the front seat, then in the back) and see what it would be like. The surroundings presented to you are not very realistic, but you do get a feel of what it would be like. The Fine-Comfort Ride concept allows everyone to turn their seats so they would be able to have a meeting in the car while it takes them to their destination. The windows can be used for presentations etc. Cutting edge, it would seem, but I wonder how far away this is? I know there are companies that already provide glass/windows with technology that allows you to manipulate the display etc., but to build that into a car? Last, but never least: I had a look at the new and bigger Aston Martin stand. They promised surprises and they brought them. I have to be honest, the Vantage race car was revealed alongside the road going version some weeks ago, so not much of a surprise there. And we were already told about the Valkyrie track version (AMR Pro, what else?). But I think no one had yet seen the track Valkyrie. The bright colour and additional wing and fin look great on her, but I am mostly curious about the specs. The road going Valkyrie is insane, to say the least, so how much more can this version do? It has not yet been revealed, unfortunately. The new Lagonda concept car. I guess the main surprise was the Lagonda concept car. The aim is to revive Lagonda as a fully electric luxury brand and the cars will be autonomous. I managed to have a closer look at the car and I have to admit I’m not that impressed. Yes, it’s big (a bonus in my books), but it is not very good looking. Of course everyone has their opinion. The car was greeted with several whoops from the attending press, so quite a few people like it. Let’s keep in mind this is a concept, so at this point it’s hard to tell what it will look like when it’s about to go into production. Apparently this car was created from the inside out. Again, I am not sure what to think. It seems very minimalistic inside, I’d even say rather empty. I don’t find it very inviting at all. But of course this is due to my taste. I like big cars to have bulky interiors. I find that those look comfortable (and usually are). The large open space in the new Lagonda is strange to me. At this point I can’t say if I simply have to get used to it or if I will never like it. Time will tell. So far the Geneva International Motor Show has given me plenty of things to think about, but mainly about electric and autonomous cars. I am a petrolhead. I prefer the smell of petrol, the roar of the engine and I love driving. I fully expect to have an electric car at some point, if the government gets their way at the times they currently envision to make electric cars compulsory. At this time I’m not looking forward to it, even though I am fascinated by the progress being made. I also wonder what brands like Mazda are going to do if electric becomes compulsory. Will they come to the party too late or do they have a trick or two up their sleeves? Or, perhaps, they will pull out of the European market? I doubt that, but the future is fairly uncertain and very interesting! It was back in 2005 that I visited the ‘Salon International de l’Auto’. 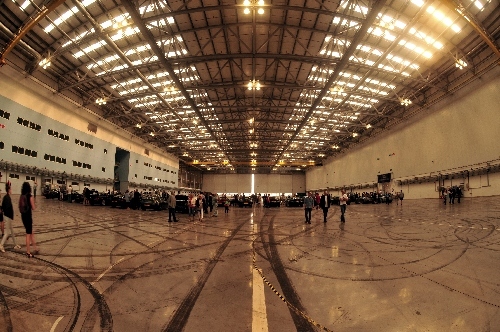 It’s a well-known and very large car show which is often chosen by car manufacturers to present their latest model(s). 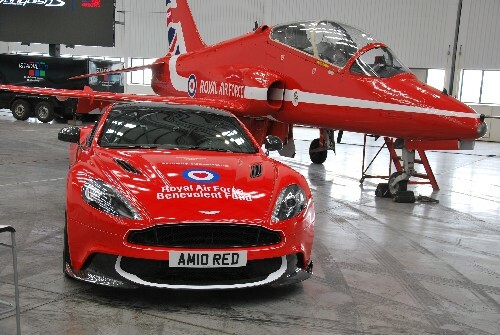 This year Aston Martin decided this was the place to unveil their new car and, of course, I couldn’t miss that. So, instead of heading to Barcelona for Formula One testing, I flew to Geneva. Something I had noticed through the years is that all three car shows I visited it somewhat regularly – Geneva, Frankfurt and Amsterdam – the way cars were presented/unveiled and promoted was getting less extravagant. Of course this was most noticeable near the credit crunch. Now it seems things are picking up again. I’ve not seen any repeated shows to present a new car model, but I have seen dancing girls, more brochures being handed out (as opposed to the emails you can get, and only for one model, mind you!) and the stands looking generally better fitted out. It was also extremely busy, however I don’t think that that ever changed much, especially on a Saturday. My main focus and reason for visiting was the new Aston Martin, but I’ll get to that later. When visiting any car show I have a tendency to visit any brand I’m interested in first and spend time just browsing if I have any time (or energy) left. I also like to have a look at the prototypes and I was surprised to see how few there are nowadays. The Peugeot Fractal stood out, though. I am not sure I’d ever want to buy one, but the styling is definitely different. I certainly hope Peugeot are on to something here, because I find their cars consistently boring when it comes to styling. About a decade ago I loved visiting their stand, because the cars were an absolute joy to look at. It would be nice to see them returning to the same styling standard. I can’t say anything about the driving experience, because I have never owned or driven a Peugeot. Another car I have a huge soft spot for (and trust me, it needs to be a huge spot!) is the Toyota Hilux. No, it’s not a very pretty car and yes, it is very big indeed. I think that’s probably it. I do like large(r) cars and this one takes the biscuit. I know there are bigger – and usually American – cars out there, but I like the styling of the Hilux. It’s a good looking beast, it IS a beast and, depending on what type you pick, it can be very practical. I sat in the one on the photo above and the view is also not bad at all. It’s certainly a vantage point over all cars around you. Now if only they’d sell these at a price that falls within my budget. One of the other stands I visited was McLaren. My friend had not yet seen the 650 ‘in the flesh’. It gave me a chance to have a good look at the 675LT. That is not an ugly car at all. There were quite a few stands I visited, but my main focus was on Aston Martin. It’s where my day started and I spent about 20% of my total visiting time there. On the Tuesday (1 March) I had watched the unveiling of the DB11 live. It made me very happy I had decided to skip F1 testing and go to Geneva instead. What a car! For a long time my favourite Aston Martin was the DB4. It’s the original, the one the other DBs took their looks from. Yesterday that title was stolen and it is now held by the DB11. To be honest, I have no words to describe this car. I love it. It’s as simple as that. 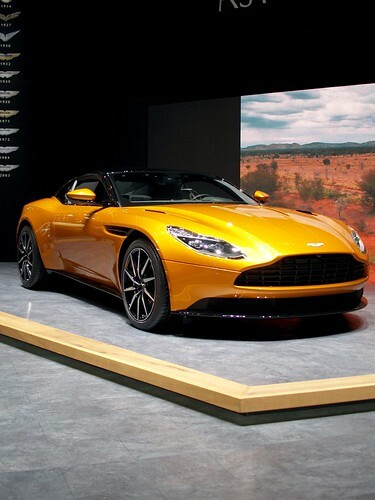 This is the way Aston Martin is heading. I cannot wait to see what they come up with next. But let’s for just a moment go back to the main topic: the car show itself. Yes, it was busy and yes, it was warm. That is to be expected at a big, international car show. The quality of the stands is definitely improving again. The public seemed to enjoy themselves. There were a lot of interactive elements at many of the stands. So there is not just a lot to see, there is also more to do. The brochures and bags are making a comeback. Let’s see if the balloons, stickers and caps will follow. The atmosphere was good. It’s time to start visiting more car shows again.